Join us for the opening reception of Shells, Bells, Steps And Silences and Group Dynamics and Improper Light on Thursday, 28 June 2012, 8-10PM. 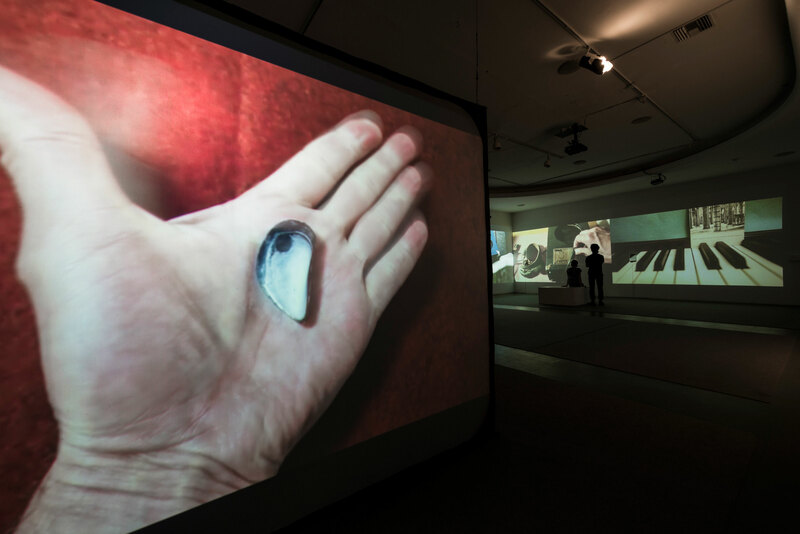 LACE is proud to present Shells, Bells, Steps And Silences, a new video installation and film survey by Los Angeles artist Steve Roden, curated by LACE Associate Director/Curator Robert Crouch. 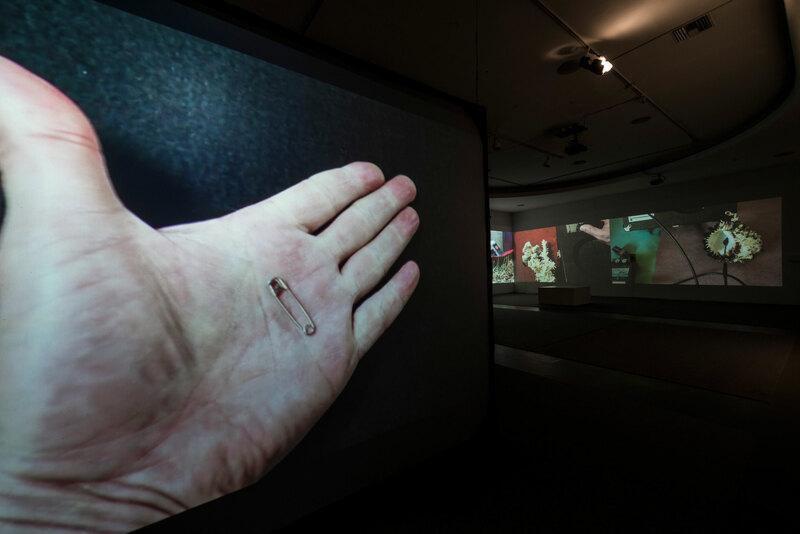 While Roden has been making films for over 20 years, this is the first body of work he has made with video exclusively, although the visual language and the approach to performance is certainly an extension of his 2011 film, Striations. Shells, Bells, Steps And Silences incorporates 3 research projects conducted by the artist over the past year: a collection of sea shells acquired by Roden from the estate of modern dancer Martha Graham, notes from a recent residency at the Walter Benjamin archive in Berlin, and John Cage’s seminal 4’33”, a work that Roden performed daily over the course of an entire year. In October 2011, Steve Roden was invited by the DAAD to spend a month researching Walter Benjamin’s archives at the Akademie der Kunste, after having seen some of Benjamin’s notebooks previously in an exhibition in Berlin in 2006. Because he is unable to speak or read German, Roden responded primarily to the visual aspects of Benjamin’s notebooks – and was particularly excited by a series of color-coded symbols that resembled the kind of graphic notations avant-garde composers were exploring during the 1960’s. Benjamin used a variety of visual systems to organize his writings within his manuscripts, and so Roden spent much of his time translating Benjamin’s various graphic decisions and idiosyncrasies into scores. When Roden arrived in Berlin, he was already ten months into a yearlong project of performing John Cage’s 4’33” every day for a year, and thus there were moments in Berlin where Cage and Benjamin collided. When Roden returned from Berlin, he received two large boxes of seashells and small objects that belonged to the dancer Martha Graham. As he began to work with the results of the Benjamin research, things started to evolve into a kind of “mash-up”, with Benjamin, Cage and Graham entwined. 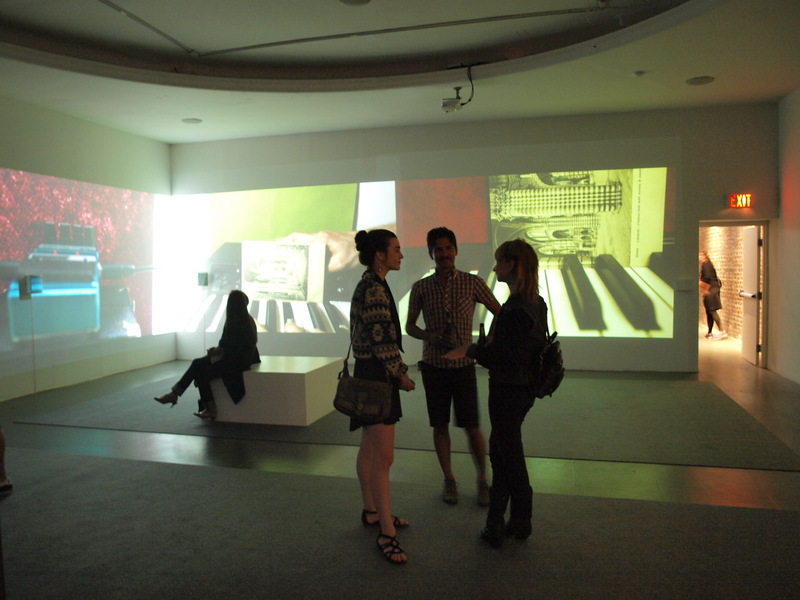 The largest work in the exhibition is a three-channel video and six channel audio work entitled Shells, Bells, Steps And Silences. It documents 40 short performance events that collide via chance operation – creating a situation where the video clips are constantly “improvising” in different combinations. The score for the piece was composed using Benjamin’s “thematic symbols” to determine actions, objects used, visual/sound relationships, and various permutations of time as related to variations of the individual timings of the movements of Cage’s 4’33”. Many of the objects used as instruments in the film are from Graham’s estate. Several silent single channel works will also be on view, including Everything She Left Behind That Fits In My Hand, a film of Roden interacting with the objects in his Graham collection, a lexicon of the various ways that Benjamin crossed out unwanted words in his notebooks, and a series of stop motion animated “loops” related to a postcard found in Benjamin’s archive that pictures the interior of a cathedral in Siena. Shells, Bells, Steps And Silences will also be accompanied by a selection of Roden’s experimental film work spanning his entire career from the late 80’s to the present, much of it never before seen by the public.? ?View a clip of the installation here. Steve Roden is a visual and sound artist based in Pasadena. 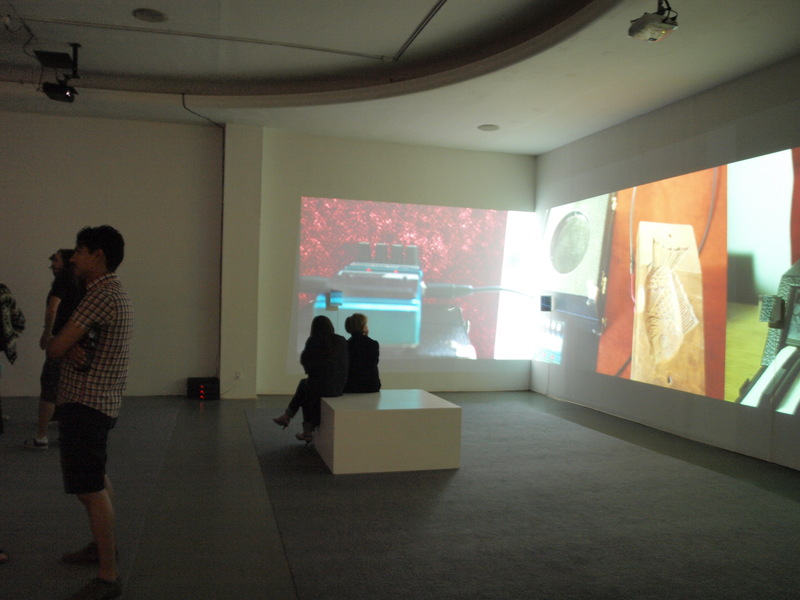 His work includes painting, drawing, sculpture, film/video, sound installation and performance. Roden’s working process uses various forms of specific notation (words, musical scores, maps, etc.) and translates them through self-invented systems into scores; which then influence the process of painting, drawing, sculpture, and sound composition. These scores, rigid in terms of their parameters and rules, are also full of holes for intuitive decisions and left turns. The inspirational source material becomes a kind of formal skeleton for the finished abstract works. 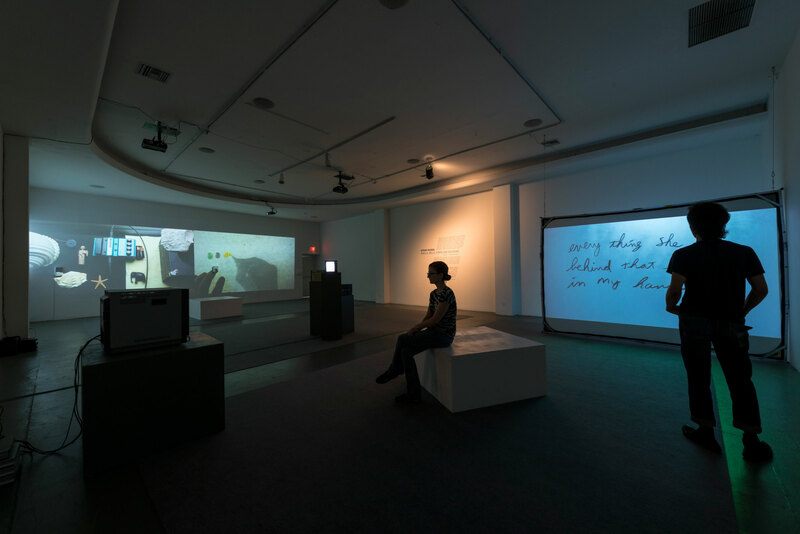 In his visual works, translations of information such as text and maps become rules and systems for generating visual actions such as color choices, number of elements, and image building. He has been exhibiting his visual and sound works since the mid 1980?s, and has had numerous solo and group exhibitions internationally, including: Mercosur Biennial Porto Alegre Brazil, Centre Georges Pompidou Paris, San Diego Museum of Contemporary Art, UCLA Hammer Museum Los Angeles, Museum of Contemporary Art EMST Athens Greece, Singuhr-Horgalerie in Parochial Berlin, Center for Book Arts New York, The Kitchen New York, Pomona College Museum of Art, La Casa Encendida Madrid, Susanne Vielmetter LA and Berlin Projects, Studio la Citta Verona Italy, and others. In 2010, curator Howard Fox organized the exhibition steve roden / in between: a 20 year survey, which opened at the Armory Center for the Arts in Pasadena, and was accompanied by a full color catalog. His works are in the permanent collection of the following institutions: The Los Angeles County Museum of Art, Los Angeles, CA; The Museum of Contemporary Art San Diego, San Diego, CA; The Museum of Contemporary Art, Los Angeles, CA; The Henry Art Gallery, Seattle, WA; The Blanton Museum of Art at the University of Texas, Austin, TX; The Palm Springs Museum, Palm Springs, CA; The Pomona College Museum of Art, Pomona, CA; The ASU University Art Museum, Tempe, AZ; The National Museum of Contemporary Art, Athens, Greece. Robert Crouch is the Associate Director/Curator at LACE, where he organized Resonant Forms, an electronic music festival exploring the relationship between sound, installation, and video, and curated exhibitions with artists Karen Lofgren, Sean Sullivan, and Margo Victor. In addition to Steve Roden, Shells, Bells, Steps and Silences, he is currently curating Group Dynamics and Improper Light, a new project with Los Angeles artist Gina Osterloh. Crouch is also the co-founding Director of VOLUME, a curatorial project that functions as a catalyst for interdisciplinary new media work through exhibitions, performances, events, lectures, and publications, and has worked with a wide range of artists including William Basinski, Nate Boyce, Loren Chasse, Tim Hecker, France Jobin, Kadet Kuhne, Lucky Dragons, Carsten Nicolai, Steve Roden, and Christopher Willits. 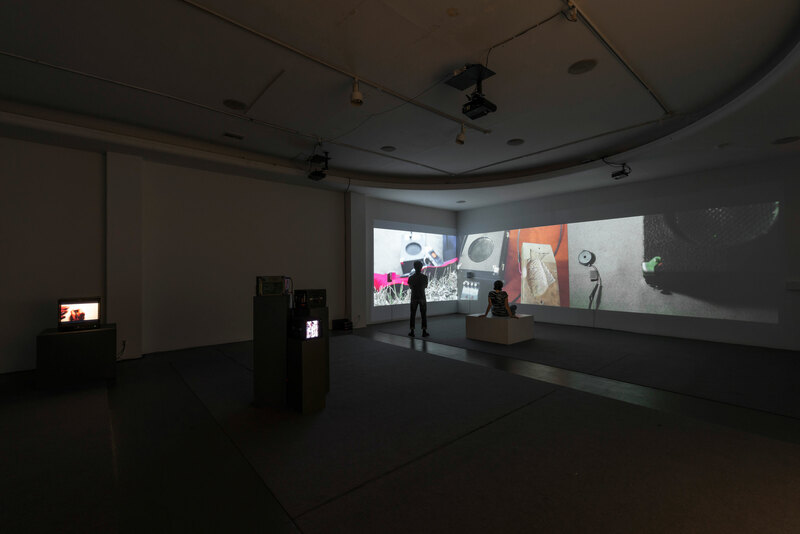 VOLUME has presented projects at venues including the Hammer Museum, the de Young Museum, the San Francisco Art Institute, and SF Camerawork. Shells, Bells, Steps and Silences is made possible with the generous support of the Pasadena Art Alliance.